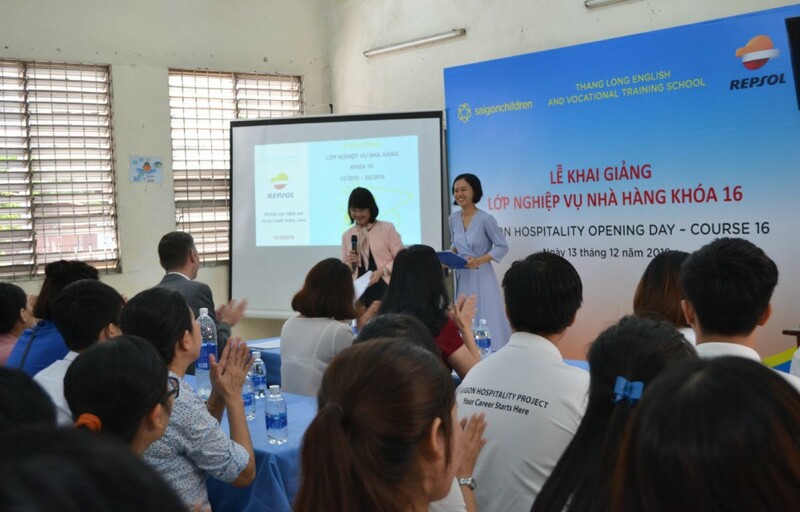 Thăng Long English and Vocational School has offered hospitality course to disadvantaged youths since 2007 and it is still one of the most popular vocational training courses run by saigonchildren. 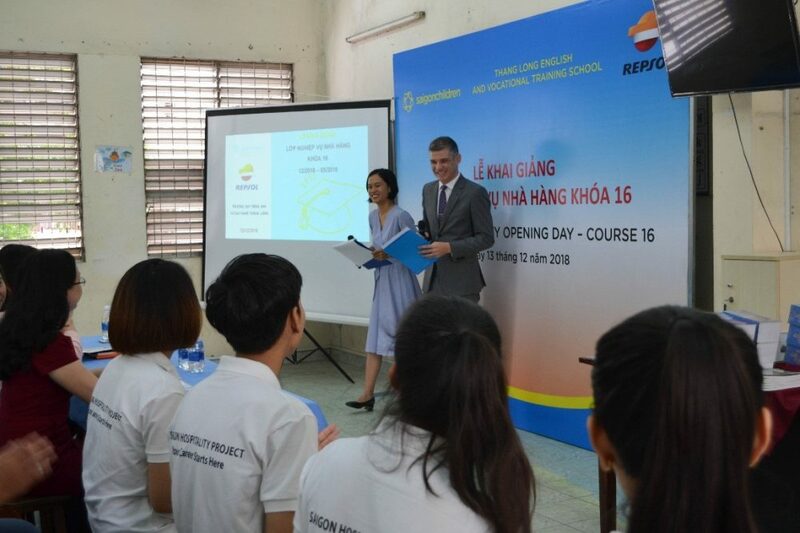 On 13th December, the 16th hospitality course opening day took place with the participation of Mr. Damien Roberts – Executive Director of saigonchildren, Ms. Nguyễn Thị Thùy Phương – representative from Repsol, staff of Thăng Long school, parents and 22 students. The hospitality course lasts for 6 months and enables students to study and practise many skills essential to a great career in hospitality such as tables setup, bartending, English communication, computer skills and especially life skills. This knowledge and skill set will help them to be more confident when starting a new job. 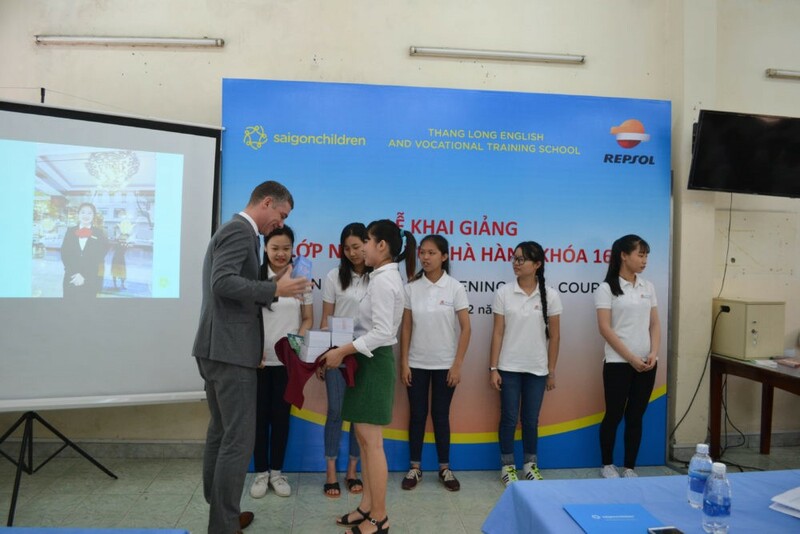 In addition, saigonchildren also supports young adults to pursue part-time and full-time internships at renowned hotels to enhance their work experience. 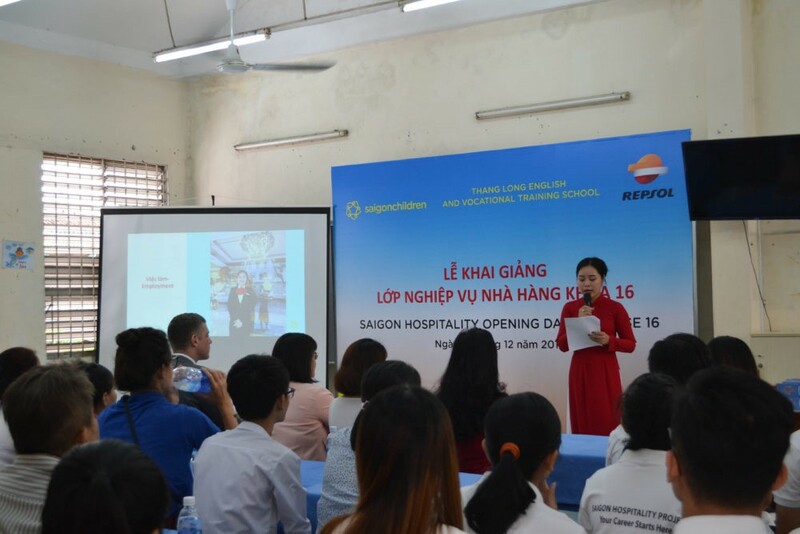 Bảo Trân, one of the students from the 15th hospitality course, is now working at Hương Sen hotel as a receptionist. When being asked to share some thoughts about the hospitality course, she said all the hard work and efforts put into this course would pay off on career path in the future and she was very happy with her current job. 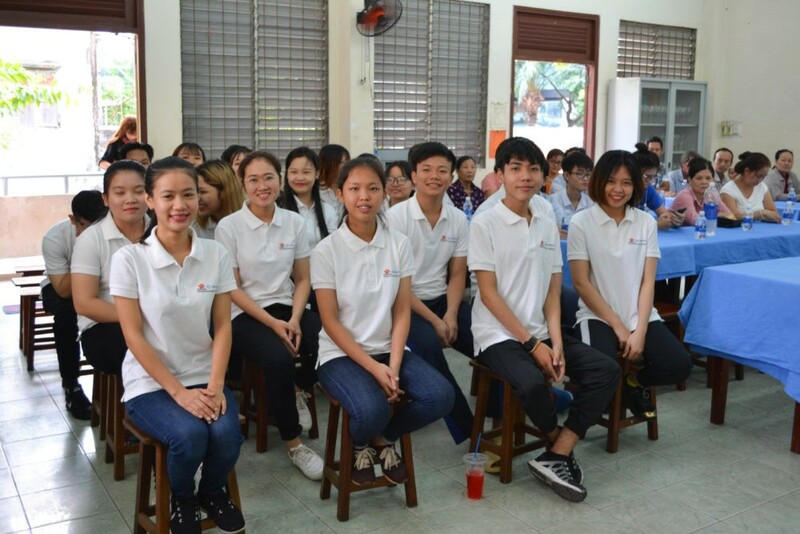 All the students seemed to be very excited about the course. They all wished to develop themselves after this course, achieve their career goals and be able to build a better future.